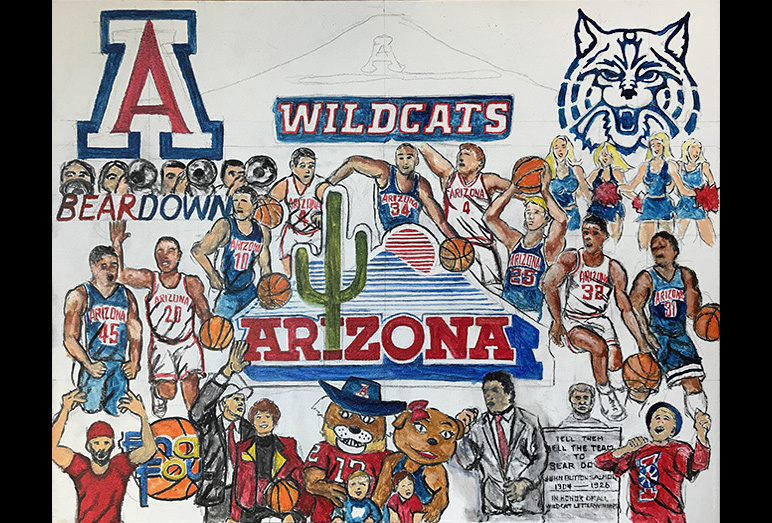 Arizona Wildcat Tribute -- Painting Progression -- Use controls to view all images. 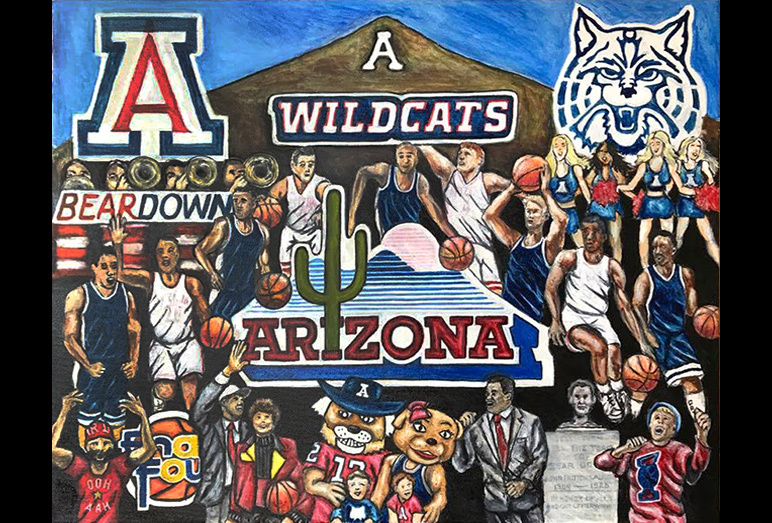 Tom is very excited to introduce his commissioned painting, a tribute to the Arizona Wildcat basketball teams. 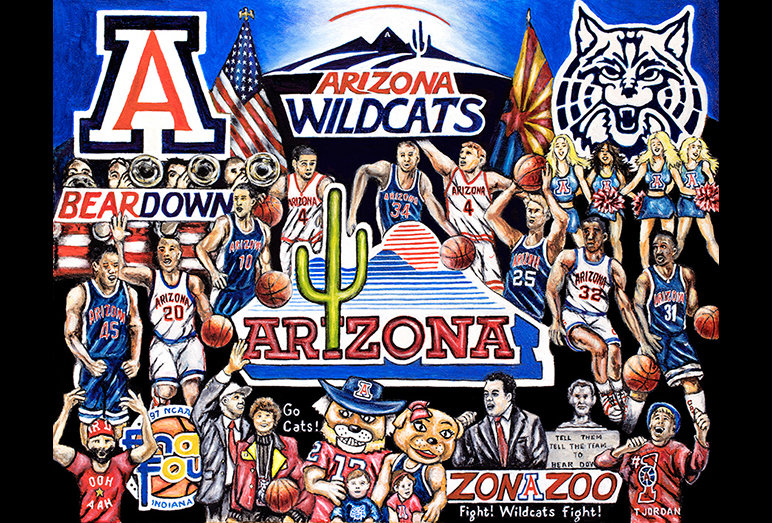 This college basketball program is ranked as one of the best of all time in the nation. 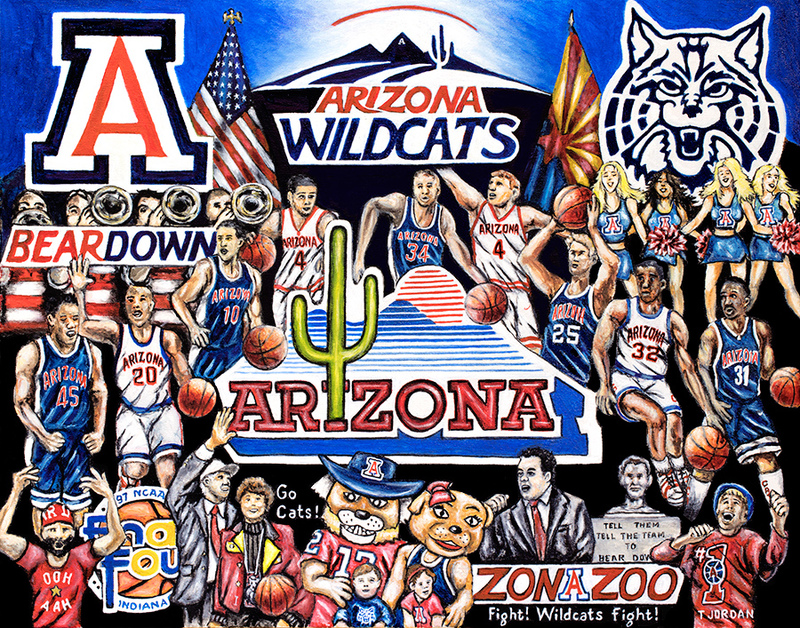 Enjoy the players, student body, and traditions of this rich, storied college basketball program. 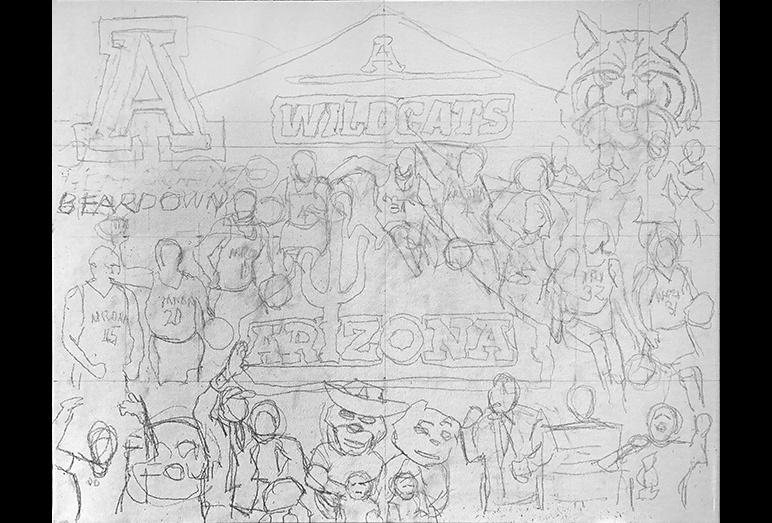 Row 1 (Back Row) -- Logos celebrating the Arizona Wildcats, and including the A on A Mountain established in 1914. 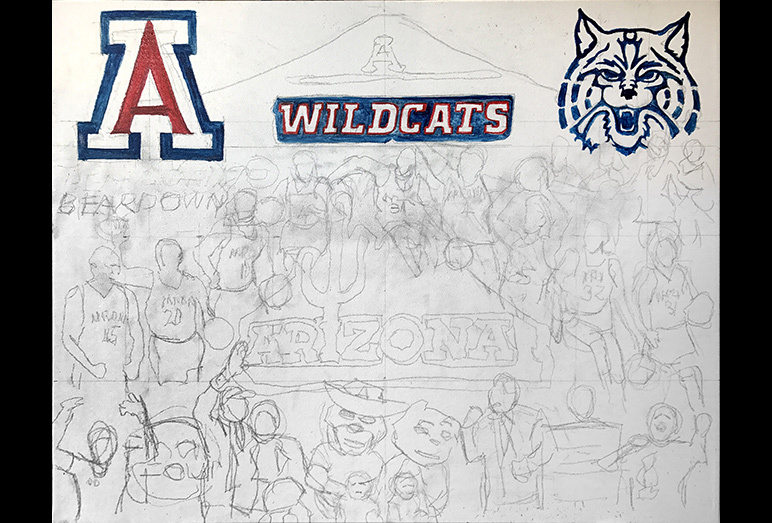 Row 2 -- Representations of the Arizona Marching Band, and Arizona Cheerleaders. 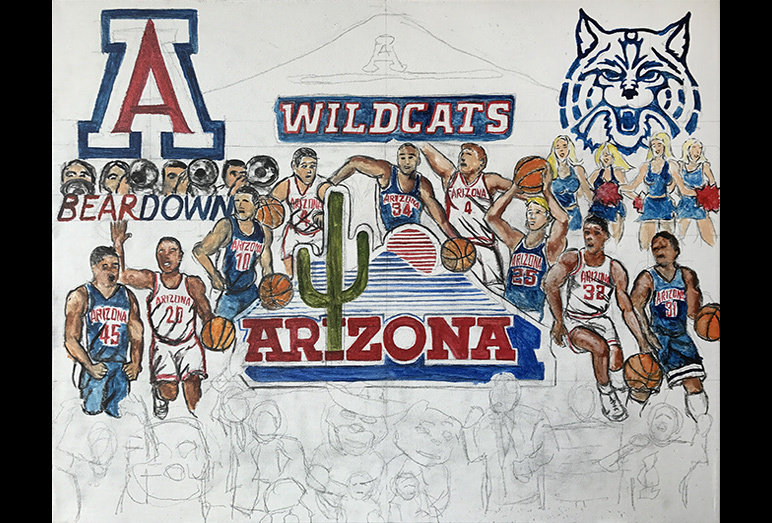 Row 3 -- Arizona Logo, and Wildcat legends starting from the left, Channing Frye, Damon Stoudamire, Mike Bibby, TJ McConnell, Miles Simon, Luke Walton, Steve Kerr, Sean Elliott, Jason Terry. 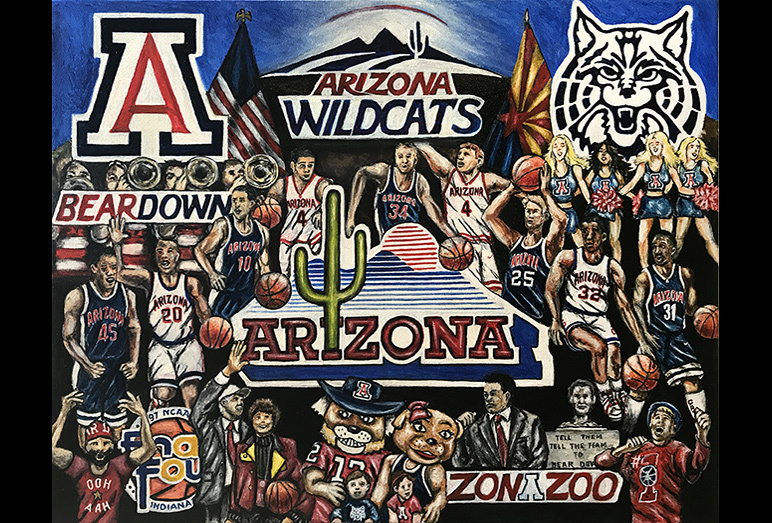 Row 4 (Front Row) -- OOH AAH Man cheerleader, 1997 Final Four Logo, Lute and Bobbi, Wilbur and Wilma with two young Wildcats, Sean Miller, John Button Salmon Monument, Phyllis Goodman cheering on the team.